HBO has released a new Game of Thrones Season 7 teaser, which ends with a big White Walker moment. Check it out below, and prepare for new episodes starting on July 16, 2017! The upcoming season will be shorter than the usual ten-episode seasons of the past, containing just seven episodes. At the end of last season, Daenerys’ (Emilia Clarke) dragons and her immense army were finally on the way to Westeros, where Cersei (Lena Headey) is now Queen after the death of her children. The Night King’s (Vladimir Furdik in season 6) army is heading south, and a battle appears to be imminent. Are you digging the the new Game of Thrones Season 7 teaser? 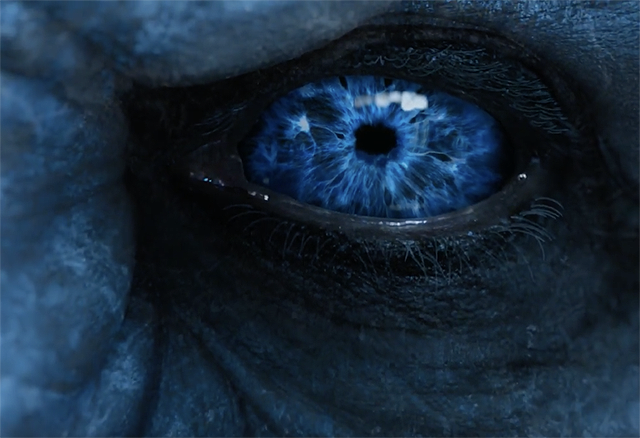 Do you want to see some serious White Walker carnage? Let us know in the comments below!